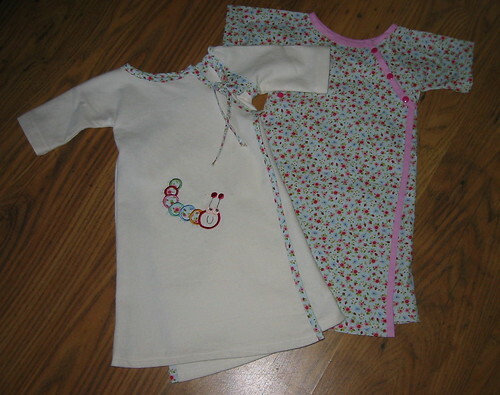 baby gowns, originally uploaded by indiaeden. These baby gowns were a bit of an experiment. My usual kimono design is a little wide for newborns,so I had a little play and came up with these. I'm still not entirely happy with the design,and need to tweak it here and there,but I have two more to make for another new baby,so we'll see how those turn out.